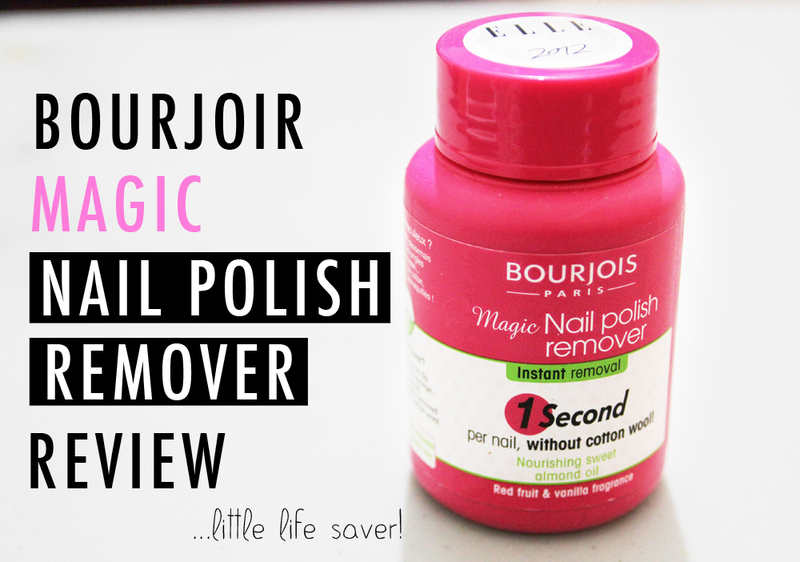 REVIEW: Bourjois Magic Nail Polish Remover- does it really work? Whilst I love painting my nails, taking it off is another matter! I blinking dread taking off polish! The mess, the fuss and don’t even get me started on tackling glitter! Ahhh nightmare! So when I spotted this little pink bottle sat on the shelves the other day I was rather intrigued! First thing I noticed was the promise of 1 Second Nail polish removal! Now if that isn’t worth the £4.99 investment I don’t know what is! Well I’m super glad that I took the little risk because this little pot of Magic Nail Polish Remover is a miracle worker! No mess! no fuss and yes! Super quick removal! 1 second might be a bit far fetched though but its really not far off! Okay so if you are wondering how it works, it’s basically a pot containing a sponge that is soaked in nail polish remover! The idea is you dip your fingers one at a time into the solution and twist the pot to take off the polish. This type of nail polish isn’t exactly new as I do remember using something very similar years ago, but obviously the formula is no where as near brilliant as this and it did leave a horrid smell and sticky residue all over your hands! Not nice at all. 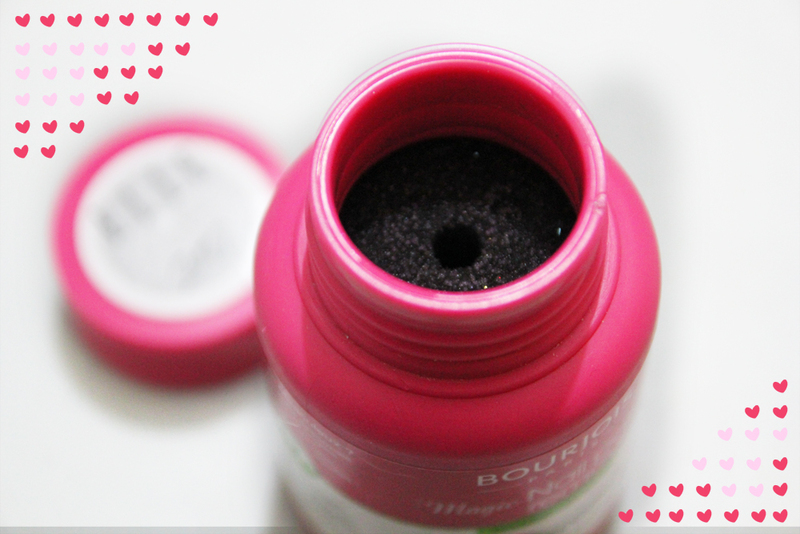 However this Bourjois Magic Nail Polish remover neither smells nor leaves the hands sticky! In fact the scent was rather pleasant with a fruity/vanilla fragrance! By no means do I recommend giving it a big whiff as you use it though, but of course it’s good to know that it’s not pungent smelling stuff! I’ve tested it with both normal polish and glitter polish and results were equally impressive! It took merely a few seconds to remove my normal nail polish, and I managed to complete both hands well within a minute! Pretty good going! Obviously it took slightly more effort to remove glitter polish, however this magic stuff managed to make this painful process both stress and mess free! I didn’t have to worry about using a 100 cotton pads on one finger or half a bottle of remover before even finishing one hand! It was quick, clean and effective! Plus it contains sweet almond oil to help nourish your nails too! What’s more is that I haven’t got to worry about wasting or spilling polish remover everywhere! The amount of times I’ve wanted to slap myself for knocking over a brand new bottle! It’s so infuriating lol! I would recommend keeping two of these, one for your normal polish and and one for glitters because the glitter does get left behind in the sponge and can be annoying the next time you go to use it! So all in all I have to admit it will be hard to revert back to my normal Polish Remover now! I’m now a convert! I give this product 10 out of 10! Looks like its already a well loved product too as its also won the Elle Beauty Awards 2012! I can see why. You can grab one to try for yourself from any high street store, I got mine from Boots for £4.99! here. 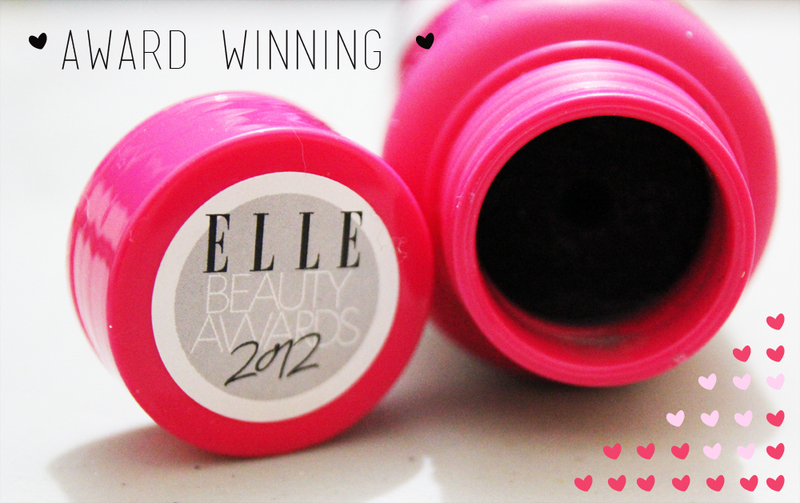 Tags: Bourjois, Elle Beauty Awards 2012, Magic Nail Polish Remover, nailpolish, Nails, review. Bookmark the permalink. Everytime I go to Boots this nearly makes its way to the till with me but I just can’t justify £5 on a nail polish remover! Oh I know, £5 is a bit pricey but I pay about £3-£4 for my regular polish remover, then when I consider the amount I waste and spill I think I makes up for it lol!